In an overnight murderous raid, Boko Haram militants killed at least 23 Chadian soldiers. This is the deadliest such attack inside Chad by the Islamist insurgent group. For a decade, Boko Haram has been fighting to establish an Islamist caliphate in northeast Nigeria and has carried out regular raids over loosely guarded borders into neighbouring Chad, Niger and Cameroon. These attacks on Friday, occurred in the town of Dangdala, near the banks of Lake Chad. It is believed that the assailants crossed the frontier from Niger before attacking Chadian soldiers around 1:25 a.m. (0025 GMT). The spokesman of the army declined to comment. Chadian soldiers are part of a U.S.-trained West African task force deployed to counter Boko Haram. The violence over the past decade has killed more than 30,000 people and forced about 20 million to leave their homes. 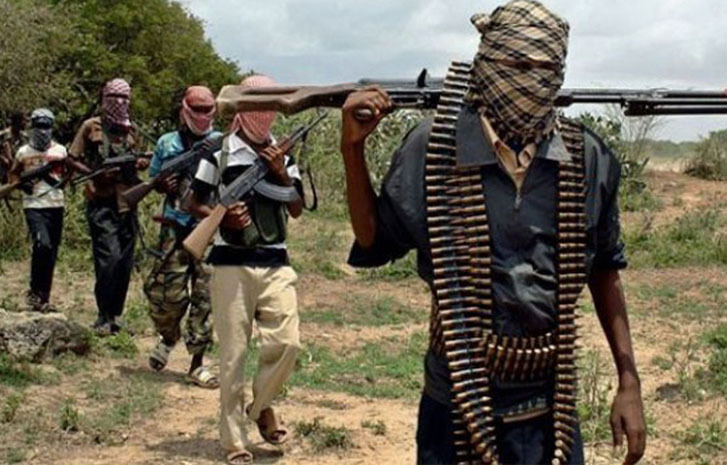 Defeating the Boko Haram (now Islamic State West Africa Province-ISWAP) will take a massive effort as it was the deadliest terror group by the Global Terrorism Index in 2015. Founded in 2002 and turned into an extremist organization in 2009, Boko Haram pledged allegiance to the ISIS in 2015 is now known as Islamic State of West Africa Province. Headquartered in Borno State, Nigeria, they are 15000-20000 strong. They have control of large swathes of land, roughly 100,000 square kilometers (39,000 square miles) in the northeast parts of Nigeria. Boko Haram, after killing 30,000 people and displacing around 23 million, has no plans to stop or bow down. A defensive and reactive stance is not suitable to counter a violent organization like Boko Haram. Counter-terrorism agencies require a way to gather accurate and infallible information. All captured insurgents so far, of the ISWAP have been through weapons training, brainwashing, and propaganda literature. They are hardened criminals with strong allegiance and brotherhood because of the common cause of Jihad. Traditional interrogation techniques cannot elicit much information from the captured foot soldiers. Moreover, these techniques are very primitive in being able to distinguish between an innocent and a terrorist. Humans, specially hardened criminals are great at hiding crucial details and lying. Senior terrorists or leaders know much more than foot soldiers. Such as information about past attacks, current operations, and future plans is very valuable. Knowing who the gang leader can help investigators understand the structure and the hierarchy of the group. Community leaders say that the inadequate deployment of security forces to protect lives and property has led them to advocate self-help defensive efforts, as well as retaliatory attacks against those responsible for, or perceived as being responsible for, previous attacks. The Nigerian defense forces are working hard to uproot Boko Haram and its faction from the region. They must adopt modern interrogation techniques which have lately been introduced in the market. They must follow a multi-pronged approach, wherein they gather information in an efficient manner, and proactively screen asylum seekers, arrested persons and unearth all links without the use of torture. Will the Nigerian authorities embrace modern technology or let Boko Haram (ISWAP) to plunder and kill, unhindered? Now, a solution exists which can indicate the level of a person’s likely involvement of crimes and terrorism. Moreover, it can also help to determine the level of radicalization. Such a technology indeed exists and is called “iCognative” technology. The Massachusetts based Brainwave Science is the developer and provider of iCognative. The iCognative technology uses a computer-based tool to indicate if the person being tested has a memory of a particular word, phrase or an image or not. This knowledge can be extremely useful for law enforcement, counter-terrorism, border security. Such a tool is useful also to border security officials, immigration and anti-trafficking agencies. By becoming capable of distinguishing an innocent from a guilty, the agencies can gain the upper hand in the fight against terror groups and other criminals. A simple iCognative test takes around 45-minutes per individual. There is no verbal exchange between the test administrator. No questions are asked. A proprietary wireless headset and a laptop computer are used to flash images, words, and phrases to the testee. His or her brain response is different depending on whether he has prior memory or exposure to the flashed item or not. This response can be recorded and analyzed by the revolutionary iCognative system and report it with 99.9% accuracy. iCognative has no-countermeasures and is highly reliable. It does not report any false positives or false negatives. This is the revolution in intelligence gathering which the counter-terrorism agencies have been looking for. There is no torture involved and the testee is relaxed. The has vast applications and is applicable in more than 85% of all criminal and civil cases. False imprisonment, delayed justice, and torture can be avoided using iCognative. The Nigerian agencies and the Government stand to benefit enormously by using iCognative by Brainwave Science as their intelligence gathering tool in their fight against the dangerous and violent Boko Haram (ISWAP).